Jesus enters Jerusalem and sets off a running contest, taking his opponents’ best shots and landing a few of his own. From Series: "Luke - To Jerusalem and Beyond"
Jesus sets his face towards the holy city. 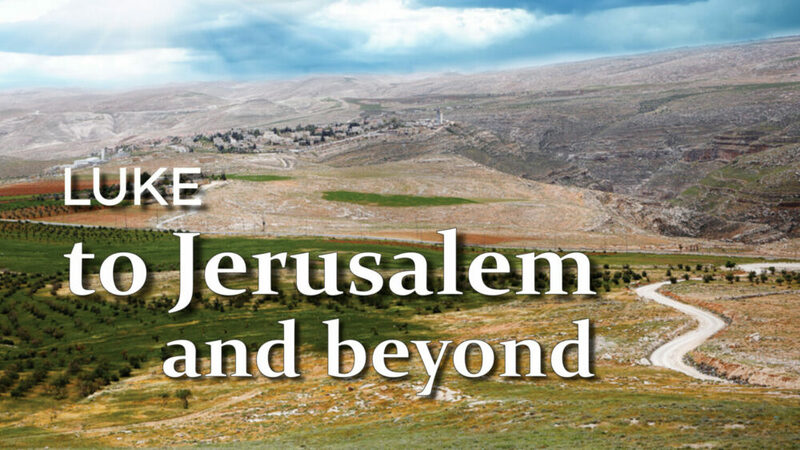 With an increasing sense of urgency as Jerusalem grows closer, he prepares his disciples for the decisive events that will happen there and for life and leadership afterwards. Walk with Jesus and his followers on that fateful journey. Sit with him around tables filled with grace and fraught with danger. See his compassionate power. Hear the stern warnings and revolutionary stories. Witness what happens to him and how he responds to our betrayal, denial, injustice, abuse and murderous evil. Follow Jesus as he struggles to carry his cross to the shameful, excruciating, world-reversing death. And when the journey seems to have reached its end, look around and see who joins us on the road and around the table!